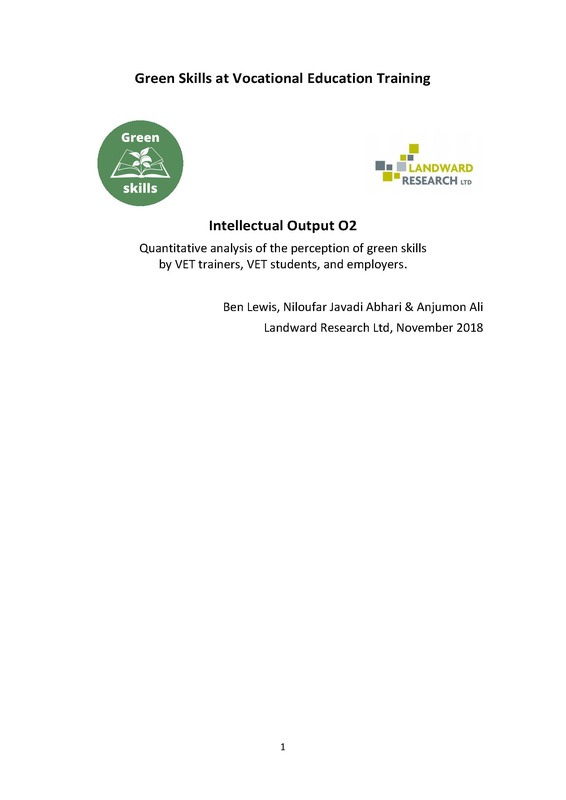 The second report for the Green Skills at Vocational Education and Training project published today by Landward Research is a Quantitative analysis of the perception of green skills by VET trainers, VET students, and employers. This is the detailed analysis of over 1,750 questionnaire responses, completed by educators, learners and employers in five countries – UK, Spain, Italy, Romania and Turkey – on their experiences of, and attitudes to, vocational education and training for construction workers and electricians. their students. In Turkey, the majority of learners (79%) believed they were not learning green skills. possibly suggesting a discrepancy between skills desirability and their provision. already possessed, suggesting a desire for applicable green skills in practice.